16 Photographs – Tickets Available! I’m very excited to announce that tickets are now available for the special screening of my film 16 Photographs At Ohrdruf at The Little Theatre in Rochester NY! The film will be showing the evening of Sunday October 6th, 2013. This event is one night only. Tickets are only available online, and not at The Little Box Office. This screening is very special to me because it is a hometown show. I decided to schedule it after an article about the film appeared on the cover of my hometown newspaper. Since my mom, Ruth, has a prominent role in the film I wanted her friends and co-workers to be able to see it. Of course I also want all my friends from high school who are in the area to check it out too. My 20th high school reunion is coming up soon, I’ve got to do something to impress, right? 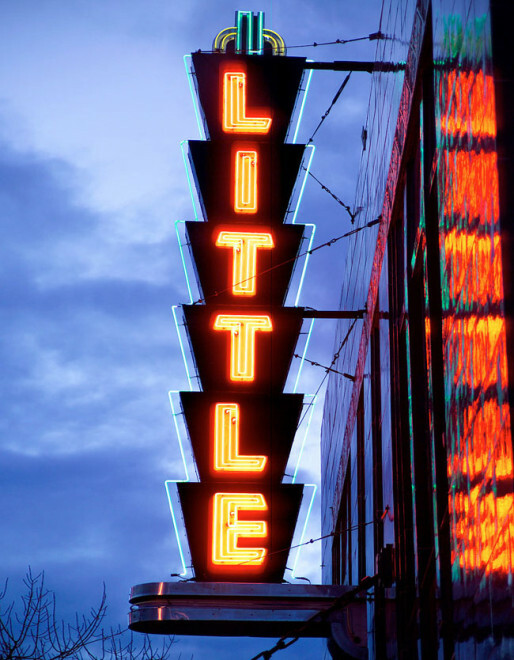 I grew up near Rochester and saw many great indie films at The Little. I’m incredibly proud that 16 Photographs will be showing there!